In this rare collection of nonfiction Christian poetry and prose based on real life experiences, Diamante Lavendar, a victim of abuse, shows the reader the raw emotions of pain, hate, and denial that occur before a victim of abuse can find a way to heal from the pains of assault. Knowing herself the very difficult journey of being a victim, Diamante was abused as a child, and turned to alcohol and drugs to numb the pain. Many years later, she started to heal under God's watchful eyes and was able to find love in her life again. She shares these truly inspiring, religious poems in the hopes that it may help other victims heal their hurts, as she did while writing the poetry collection. 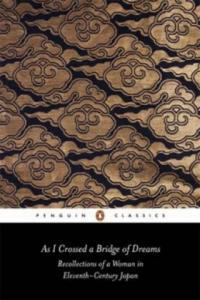 "As I Crossed a Bridge of Dreams" is a unique autobiography in which the anonymous writer known as Lady Sarashina intersperses personal reflections, anecdotes and lyrical poems with accounts of her travels and evocative descriptions of the Japanese countryside. Born in AD 1008, Lady Sarashina felt an acute sense of melancholy that led her to withdraw into the more congenial realm of the imagination - this deeply introspective work presents her vision of the world. While barely alluding to certain aspects of her life such as marriage, she illuminates her pilgrimages to temples and mystical dreams in exquisite prose, describing a profound emotional journey that can be read as a metaphor for life itself. Description: Whether from established authors or by writers new to fiction, the short stories in this volume explore life as change, using Ecclesiastes 3:1-8 as the lens. The writers come from different backgrounds, perspectives, and levels of familiarity with the short story, but what ties them together is a willingness to creatively explore the raw and more uncomfortable dimensions of life--big events and small happenings--all bound up by a recognition of the inevitability and (dis)comfort of change. Each writer has a story to tell, a creative and imaginative angle on life as it happens somewhere to someone. Life Sentences represents an experiment, a recognition of and confrontation with the depth of culture and culture's life maps, with the ways in which the joys and troubles of life are given meaning. This collection attempts to address these large (and small) challenges and dynamics of life without the jargon of the professional philosopher or theologian but with the more ""earthy"" language of popular culture: the short story. Endorsements: ""An enjoyable, thought-provoking read. Life Sentences is a glimpse into varied perspectives of existence through stories told by an assorted group of writers who are as diverse as the human experience; reminding us that as we search for its meaning, there is no one way to define life; for life is a journey unique to every individual."" --Tajuana ""T J"" Butler, author of Hand-me-down Heartache (Villard, 2003) and Sorority Sisters (One World/Ballentine, 2007) ""This is an ambitious collection of stories; sharp, powerful stories as experienced and imagined by keen eyes and open hearts. They chart the many disappointments and moments of choice that occur in life. There is stellar writing here . . . moments of great and powerful prose. The diversity of voice and experience rings loudly and at once seduces. These are situations and circumstances that feel familiar. Readers will see themselves in these pages and they will feel the joy and trepidation that swirl between the covers of this book. These are stories that flow from life as it is lived. At the end of each story, I found myself reflecting on the issues and emotions I'd experienced and at the same time I I'd begin anticipating the journey that awaited me in the next. And by the time I finished 'Jack and Jill' by Colleton I was saddened by the fact that I had come to the end. ""This collection is well conceived and excellently well-rendered, a gem for readers who love life and seek the details of its many mysteries."" --Alexs Pate, University of Minnesota, author of the New York Times Best Seller Amistad: The Novel (Signet, 1997) About the Contributor(s): Anthony B. Pinn is the Agnes Cullen Arnold Professor of Humanities and Professor of Religious Studies at Rice University. He is the author or editor of seventeen books including African American Humanist Principles: Living and Thinking Like the Children of Nimrod (Palgrave Macmillan, 2004) and Terror and Triumph: The Nature of Black Religion (Fortress, 2003). Gregory M. T. Colleton is a screenwriter, actor, and director. Born in Evanston, Illinois, Colleton attended Macalester College and later joined the Teach for America program, where he taught composition, history, and violin to middle-school kids while spreading the gospel of Michael Jordan. He resides in Los Angeles but dreams of living back near the Windy City. At the age of fifty Stephane Mallarme (1842-98) spoke of his published work as very precise reference points on my mind's journey. In "Stephane Mallarme", Roger Pearson charts that journey for the first time, blending a biographical account of the poet's life with a detailed analysis of his evolving poetic theory and practice. A poet on this earth must be uniquely a poet', he declared at the age of twenty-two, and he duly lived a poet's life. But what is a poet's life? What is a poet's function? In his poems, in complex prose statements, and by the example of his life, Mallarme provided answers to these questions. To Mallarme, being a poet meant many things: a continuous, lifelong investigation of language and its expressive potential; and bringing people together, as much in life as in poetry. His Tuesday salons were famous with visitors including Yeats, Rilke and Verlaine, as well as the artists Manet, Renoir, Whistler and Gauguin; his poetry inspired music by Debussy, Ravel and Boulez; and his poem "A Throw of the Dice will Never Abolish Chance" spread over 20 pages and combining verse with varied typography inspires poets and visual artists to this day. Poetry was a way of bringing all human beings together in heightened awareness and an understanding of the magnificent act of living. "Stephane Mallarme" chronicles a fascinating and utterly unique voice in French poetry. It will not only prove an essential resource for students of English and French literature, but an engaging book for anyone interested in nineteenth-century France. 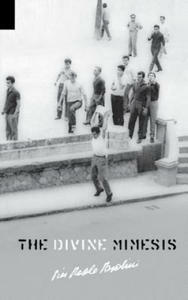 There are many subjects that appear in this book: Philosophy, Art, Fiction, Poetry, God. They are each approached through language that fits their content--language that itself shares characteristics of the subject it addresses. There are thus as many languages as there are subjects--exhibiting different forms of ""being about"" their subjects. Such forms are variously called ""analysis,"" or ""exegesis,"" or ""criticism,"" or ""speculation,"" or ""invention,"" or ""memories and dreams."" Issues become fragmented at the edges--the limits--of their language. Fragments, in turn, seek the shape--the boundaries--of their content. The forms of ""aboutness"" are as varied, and numerous, as are their subjects. There is no exhaustive listing. There is one subject this book is most concerned with. It underlies the others and questions the value--the possibilities--of mutual reciprocation. This, too, has many forms: ""What can or cannot be said."" ""Where are boundaries firm and where porous."" ""What is gained and what lost through interaction between subject-contents."" ""The many problems of synthesis."" ""What the difference is between 'Actual' and 'Real' in theories of life."" ""Contrasts between the nature--and the varying descriptions--of God and after-life."" The contention here is that all given descriptions are partial, and that in these partialities and their similarities, ways can found to construct--however slowly and painfully--the larger subject-nature of living and dying. ""'Evil is the other to everything that should be.' In Proustian-like prose, Krukowski considers the age-old question of good and evil, weaving together canonical philosophy with knowledge accumulated in person over the course of a well-lived life. His thoughts, both universal and intimate, are at one and the same time profound and extremely humorous as when he lists 'Qualities of people I hate,' then describes those qualities in verse before baking them into a delicious delicacy. This book won't renovate your life, but it will encourage you to value each fragment of it."" --Daniel Naegele, Editor, The Letters of Colin Rowe Lucian Krukowski is Professor Emeritus of Philosophy at Washington University in Saint Louis. He is the author of This Place of Prose and Poetry (2015), Before the Beginning, During the Middle, After the End (2014), Ripe Musings (2011), Aesthetic Legacies (1992), and Art and Concept (1987). He is also a painter. Breast cancer can interrupt a life and demand that we pay more attention to the way we live. In this lyrical and inviting account, Patricia Greer explores associations and images that surround her experience of the disease. A Jungian analyst, she works with metaphors and meanings related to the illness and uses her dreams, inner journeys, and poetry to deepen into and under the reality of cancer. She shares her exploration with the hope that it may help others reflect on their experiences and find insights from understanding cancer as a source of wisdom. For all those who have been touched by the disease and for those who love them, care about them, care for them, breast cancer can be a soul journey. "Women diagnosed with breast cancer often describe the experience as having many layers-physical, emotional, psychological, relational, social, spiritual, and even financial. Considering the experience as a journey of the soul is an opportunity to move beyond the effects of breast cancer and into a more expansive, meaning-making exploration. Patricia's story is a generous gift to all who have experienced breast cancer and felt drawn to a deeper understanding of the point where one's essence and illness intersect. This is definitely a trip you'll be glad you took." -Jeannie Cella, MS, LCPC, executive director of Wellness House "With compassion and intelligence, Patricia Greer offers a readable and generous personal exploration of the potential meanings of breast cancer. Embracing the symbolic attitude of Jungian methods, which activate and engage unconscious layers of psyche, she focuses on cancer as teacher, a metaphoric guide to deeper self-awareness and self-knowledge. This soulful meditation on the healing power of image is a rich, sensitive contribution full of embodied wisdom, evocative language, and transcendent depth. An inspirational book for therapists, patients, and for all women and their families and friends whose lives have been touched by cancer and illness." -Judith Cooper, PsyD, clinical psychologist and Jungian analyst "Patricia Greer creates a profound pathway for those with cancer and their loved ones. She intimately shares the sacred healing capacity of dream and image that she personally experienced during her long journey with cancer. Her image of the single redbud tree resonated for me long after I put the book down. Joining Patricia on her underworld journey with cancer, I too was immersed in a deep experience of navigating the darkest nights of the soul. I am deeply touched by Patricia's work and feel her offering is tending the soul in and of the world." -Stephen Aizenstat, PhD, chancellor and founding president, Pacifica Graduate Institute Patricia Greer, MA, PhD, is a psychotherapist and Jungian analyst who has been seeing clients for more than thirty years. She has used her experience of breast cancer to deepen her ability to accompany her clients on their journeys of individuation and is especially interested in helping women identify and speak in their authentic voices and attend to and honor the wisdom of soul. "To rise out of nothingness for the world to see" "To speak from my heart, a mind flowing free" "To release from my soul, my poetry" "To be liberated from within is" "How deep I can be" "To reveal a misunderstood, hidden part of me" "To dispel preconceived notions with reality" "To share my past, present, and sweet destiny" "To paint a portrait of my life is" "How deep I can be" "To write what I hear and then call it poetry is" "Only one example of" "How deep I can be"In this deeply personal, yet profoundly universal collection, poet John D. Evans captures the life story of a young adult in urban America who was born in obscurity, overcame insecurity, and has lessons and stories to share. With titles like "I Remember When,"" " "The Murder of Madam Roach,"" "and "Reality Check," these thoughtful poems illuminate the "P's" and "D's" of life--Portraits, Power, Party, Dreams, Decisions, and Drama. Brave and unashamed, this ponder-worthy poetic journey will enlighten readers of all ages. Jesus told us where he ""lives,"" and that he would prepare us a place there. Is our death the entry point? Must we struggle on, trying to be perfect? At a heavy pain-point in life, Judith was given a summer at an old, run-down ranch. And she wrote. Sky Mesa Journal is the account of a soul's unraveling and reweaving--and the simple metaphors of nature that moved her forward. The birds and beasts and ragged hills spoke up--in paradigm. They told her what she had never really known of that sacred understanding: God's Kingdom. It happens down deep or not at all. This mysterious inner ""landscape,"" she discovered, is the summation of our best intents and dreams and fairy tales, the answer to our hidden poverties, our inexplicable wanderings. The hills are alive! They have spoken! This is the gist of what happened on Sky Mesa Ranch. This journal is about life lived on a larger scale, for having seen the small signposts raised before her. The journal simply tells how it happened for one disheartened soul. It has been many years since that summer; for Judith, nothing has ever, ever been the same. ""During a sojourn at a ranch named Sky Mesa, Judith Deem Dupree sat daily to record not simply what she saw with her eyes, but felt with her soul. These observations, remarkably personal and therefore encouragingly human, are the music she created, solo pieces played before an audience who quickly discovers the harmonies in their own passions, 'not the cheap stuff. . .but something Spring-clean.' What a blessing she is."" --James Calvin Schaap, Author; Emeritus Professor of English, Dordt College, Sioux Center, IA ""In Sky Mesa Journal, Judith Deem Dupree invites us into her journey of discovering the abundant gifts of slowing down, attentiveness, curiosity, and compassion. With the heart of a mystic, Dupree gleans profound wisdom from the humblest of places and calls forth a holy/ordinary way of gently and radically befriending ourselves, one another, and our world."" --Brianna Van Dyke, Editor-in-Chief, Ruminate Magazine Judith Deem Dupree has authored three books of poetry: Going Home, I Sing America, and living with what remains. She founded and directed Ad Lib, a former workshop/retreat for the arts, and created Mountain Empire Creative Arts Council in her home county. Judith taught creative writing at various workshops and conferences before retiring. An avid environmentalist and gardener, she is a fervent observer and blogger of the flux and flow of life.